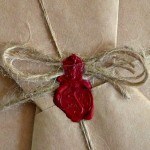 Are the 'Ochre Pits' the Pits? 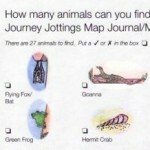 Are the ‘Ochre Pits’ the Pits? 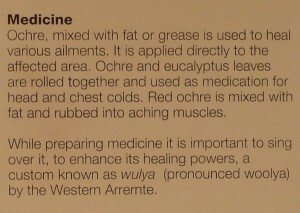 If the ‘Ochre Pits’ sounds like the ‘pits’ to you, you’re wrong! Were they just a bit of old mud on the banks of a creek bed? 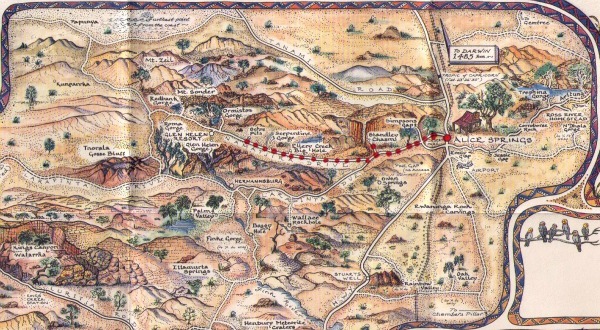 So… next stop, 80km west of our first stop at Standley Chasm was the Ochre Pits! And it just goes to show you can’t believe everything you see on the Internet! Some places really have to be experienced to appreciate their cultural influence and their colour in the flesh! While the photo above of Arente women ‘painted-up’ with ochre and feathers ready for a ceremony was taken over 100 years ago (by the anthropologist Walter Baldwin Spencer) ochre is still widely used in religious ceremony and for decoration. 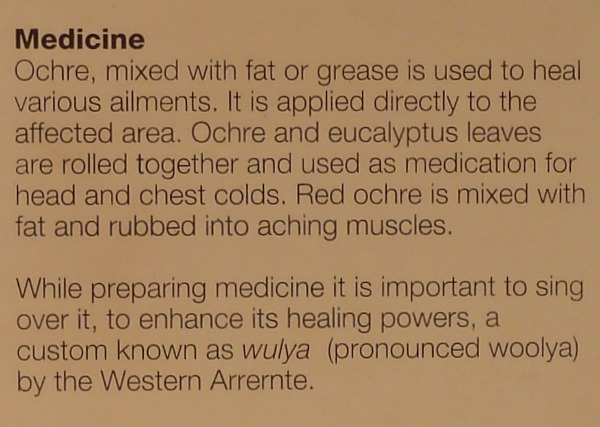 In traditional western Arrente society ochre was an essential daily household item, and was central to the preparation of many medicines. 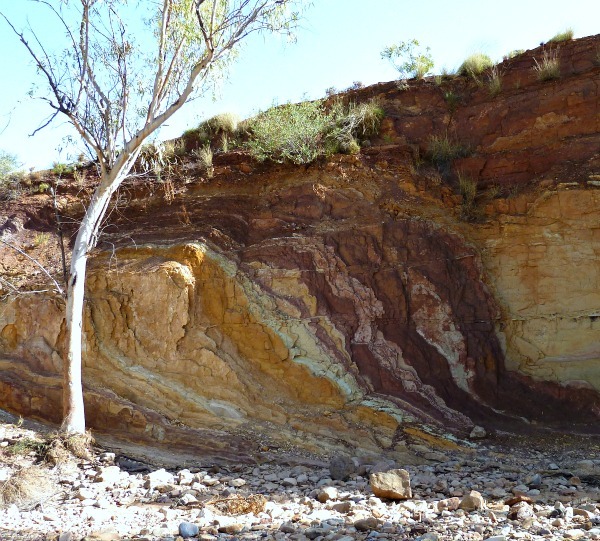 The colours in the ochre cliff were every bit as attractive as colours seen in other geological delights from further afield such as the Coloured Sands on Fraser Island or Rainbow Valley, NT. 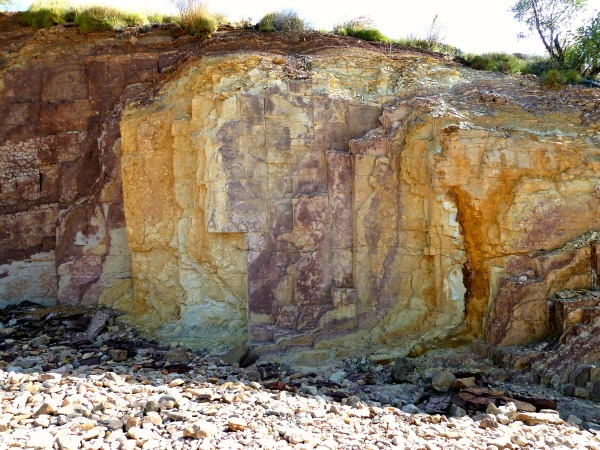 Ochre deposits are found across Australia but in varying qualities so was frequently traded with pituri (bush tobacco), boomerangs, spears and down feathers used in ceremonies. 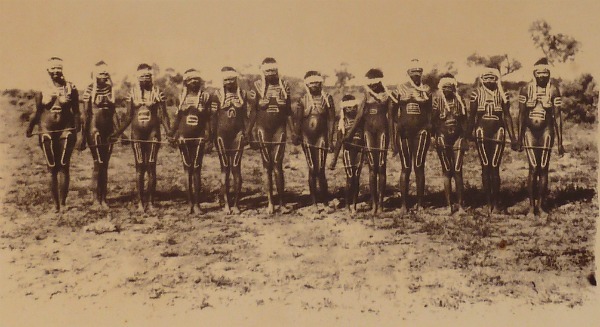 Trading has always been an important part of Aboriginal society. Today, ochres are used in Aboriginal artworks from certain regional communities in Australia. 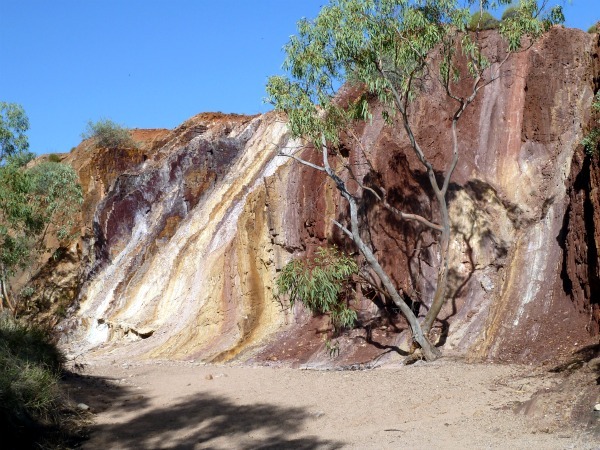 The Warmun Art Community in the Kimberleys are renowned for their artworks painted with ochres, where each artist personally collects their medium from the surrounding country and prepares it with pestle and mortar. 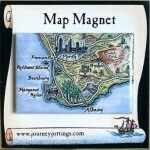 As an example of this technique is the above artwork by Nancy Nodea, from Warmun at Turkey Creek, WA. 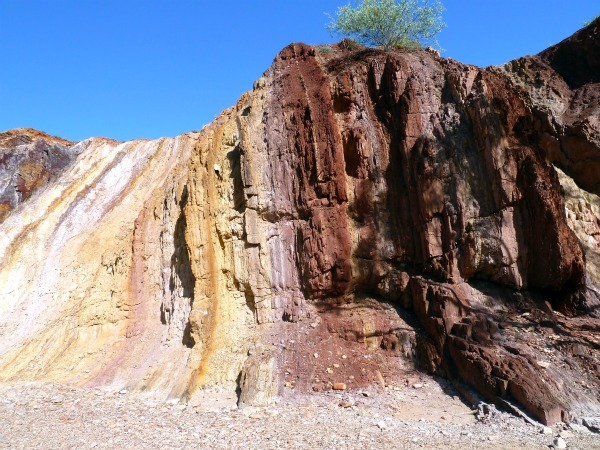 Have you seen ochres in their natural environment? Or aboriginal artworks in this medium? 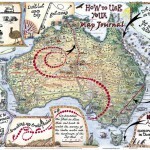 This entry was posted in Australia - The Red Centre and tagged aboriginal, central_australia, indigenous_art, northern_territory, ochre, red_centre, west_macdonnell_range by Linda. Bookmark the permalink. I didn’t know that what we tend to think of as ‘just mud’ has such significance! Desolie recently posted..You didn’t proofread? What were you thinking? Fantastic story telling Linda. The photos are fabulous. I’m loving your serious on the West Macs (as we locals call them), which also just happens to be the national parks Gary is in charge of. 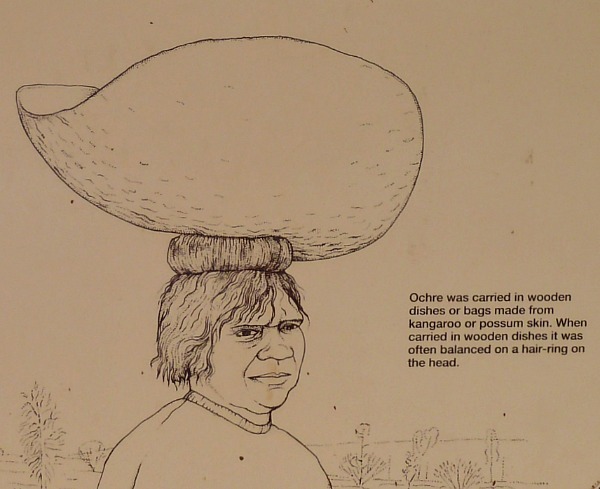 I especially like this post on the Ochre Pits, as it’s getting the message out about living Aboriginal culture. 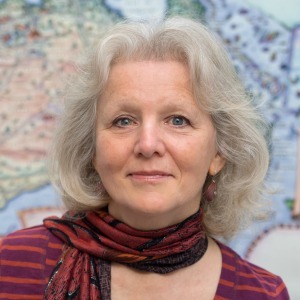 In real life, I’m an anthropologist who works for the agency responsible for the protection of Aboriginal sacred sites in the Northern Territory. I’ve had the privilege of working with the Apmereke-artweye (the custodians and traditional owners) of the ochre pits AND of being ‘painted up’ and dancing in women’s secret rituals. 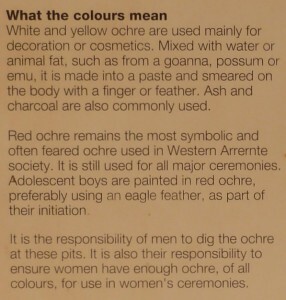 The huge message I’d like to give to anyone visiting Ochre Pits is this: the custodians of the ochre pits DO visit and DO use the ochre there, so please DO NOT take any of it. 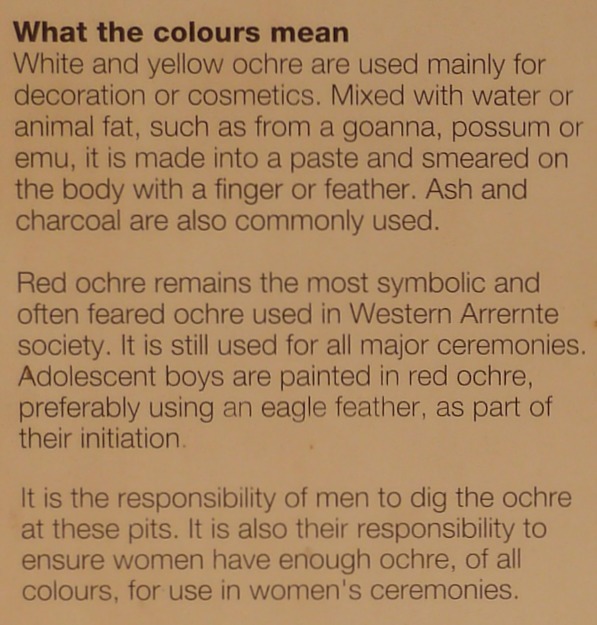 The ochre is especially significant in Jan-Feb of each year when boys are put through ‘Business’, which is the local way of saying that they undergo a ritual which turns them from boys into men. Ochre from the Ochre Pits is sought by Aboriginal people from all over Central Australia for these ceremonies. What’s really great about visiting the Ochre Pits is that you’re going somewhere that is a big part of Western Arrernte culture today – not just an historical account from the past. Thank you so much Amanda for adding both a professional perspective and your very special personal experiences to this post. 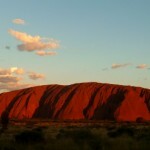 I must say it’s great to hear that Aboriginal culture in the centre is alive and well. take only photos, leave only footprints! I somehow managed to miss these whilst exploring this region on my way up through the centre. Darn it! 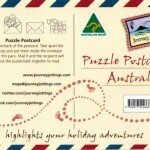 Loved the McDonnell ranges as an area though, particularly the Ormiston Pound walk. Stunning part of the world. I wasn’t expecting the reaction I had when I came around the corner on the path to the Ochre Pits…an audible gasp!!! It might be the most beautiful place I have seen in Australia. 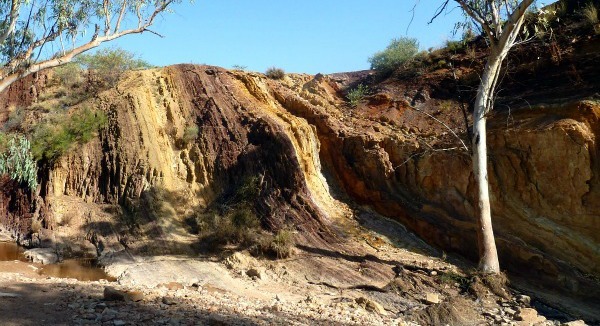 The contrast of colours between the ochre, gums and deep blue sky could not be replicated outside of nature. 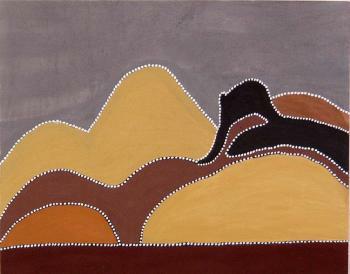 To then see the Namatjira Ghost Gums against the MacDonell Ranges and sunset at Rainbow Valley? Possibly my most perfect day in 7 weeks of amazing adventure. 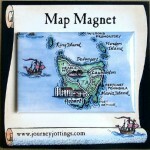 So many people think Australia is the Rock, Reef, Opera House and Apostles. They have no idea what they are missing!!! 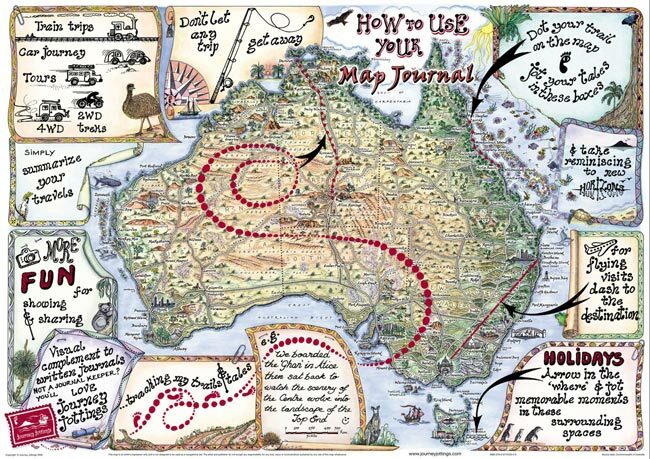 Thrilled to hear you had such an awe inspiring trip in Australia, with the highlight here at the Ochre Pits!